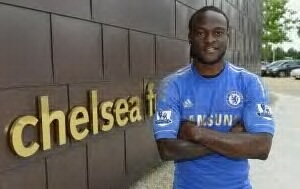 Chelsea and Super Eagles forward, Victor Moses, is now a proud father. The 21-year-old took to social media to announce the birth of his new son. It has been a great week for the former Wigan Athletic star, who scored his first goal for his new club at Stamford Bridge, against Wolverhampton Wanderers, in a Capital One third round fixture.